Keep the container in the humidity drawer of the refrigerator to avoid areas that are coldest in the fridge. Here’s a fun tip! Store your truffles with eggs in a large jar that is sealable for 2-3 days. This will infuse the egg yolk with the truffle’s aroma. Marvellous for scrambled eggs! They can be stored in egg pasta as well. Here’s a secret tip from some of the world’s leading chefs – store fresh truffle mushrooms in a large sealable jar for 2-3 days with Arborio rice. This infuses the truffle aroma through the rice, making it a fantastic base for truffle risotto. Alternatively, you can put each truffle mushroom in a container that can be sealed and cover them with oil to make an air barrier, thereafter you can proceed to freezing them. Keep in mind that moisture truly is the truffle mushroom’s worst enemy. To this end, it is recommended that you change the paper towel frequently. 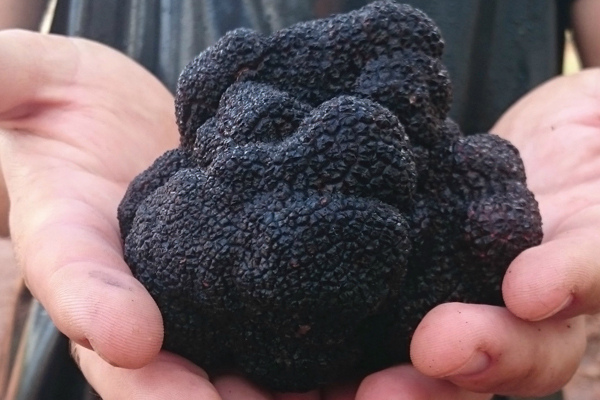 Truffles stop having their original aroma and moisture continuously. Should it grow mould that is white in colour, brush it off under cold running cold water and dry them well before putting them in the refrigerator. 50g+ Perfect truffle in shape and aroma. No skin blemish. 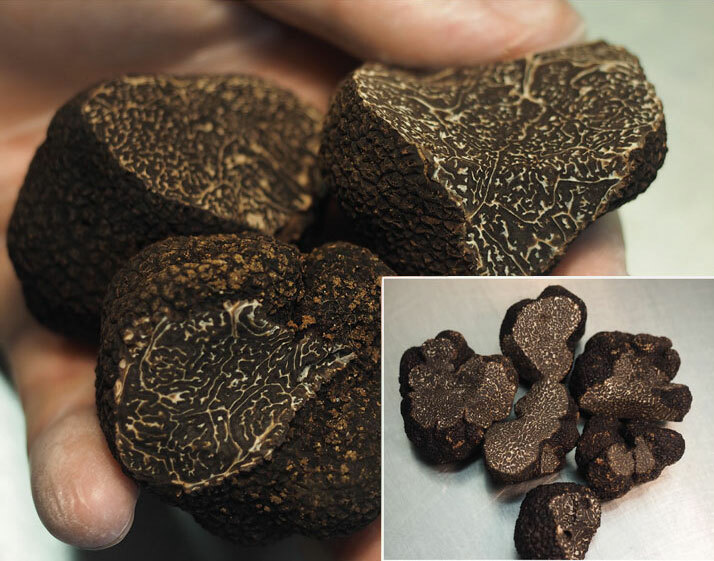 30g+ Truffle may be irregular shape and may have a small cut. Must have characteristic aroma. 15-30g Perfect, small and generally round truffle. 30g+ Truffle with large cuts. May be irregular shape. DELIVERY Airport to table weekly during season starting 1st June to the end of September. 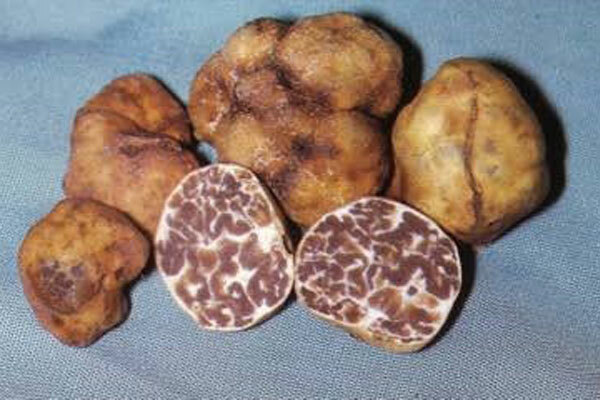 TUBER AESTIVUM (black summer truffle) and TUBER BORCHII (Bianchetto white truffle). In the beginning there was Mother Nature. From a mature truffiere in the South Pacific, Mother Nature hides her finest jewels on the roots of thousands of hand-selected Oak and Hazelnut trees, inoculated at planting with spores from the French black Perigord truffle. Buried beneath the base of these trees, white thread-like mycelium attaches to the root and similar to the umbilical cord between a mother and child, feeds the truffle nutrients from the surrounding environment as well as sugars produced by the host tree. The hunt begins in early winter from late May to late August, when the sensitive noses of trained dogs detect the unique scent of the truffle and lead professional truffle hunters to the hidden treasure. Covering tens of kilometres of truffle tree rows every few days, means that the expert hunters and dogs never leave a ripe truffle in the ground. Black and white truffles are seasonal and mature at different times of the year respectively, but can be available throughout the year as well. 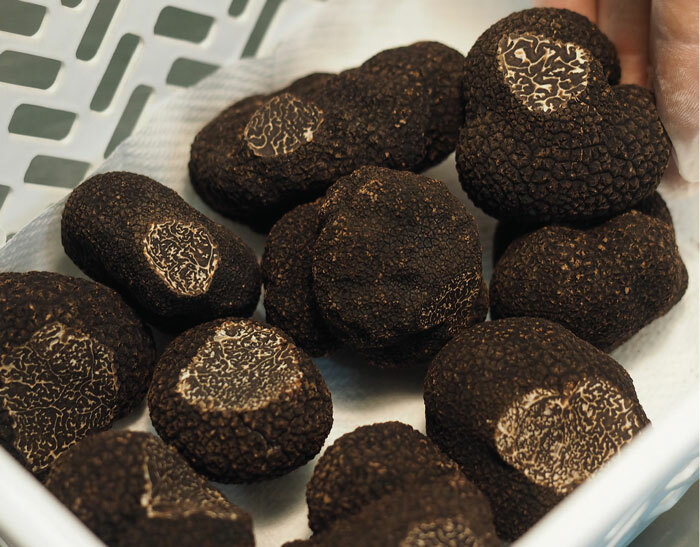 Black truffles are available from November to March, whilst white truffles are available between September and December. 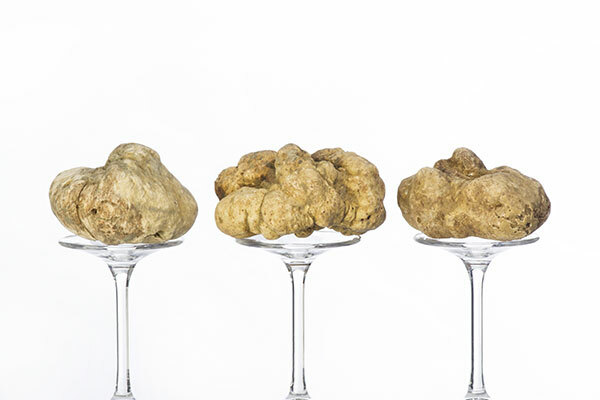 White truffles go through maturation in autumn that is between September to November in Europe. They are ready for harvesting in summer to early winter-that is August to December, but can be available throughout the year as well, even though the supply will be less compared to when they are in season. 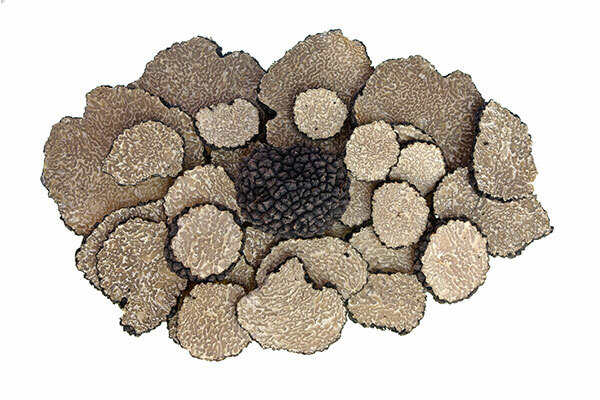 Black truffles, also known as summer black truffles go through maturation in early Summer-June to August in Europe. They are ready for harvesting from late Spring-May to September when the conditions are moist conditions are favourable. 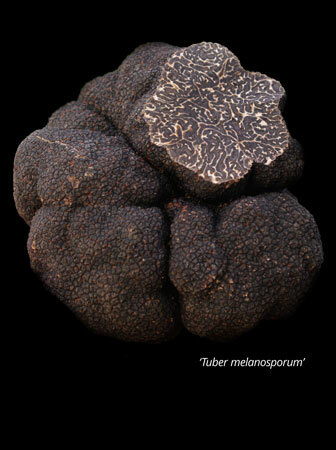 Winter Black Truffle (French Perigord) is the most sought after, of the black truffles. 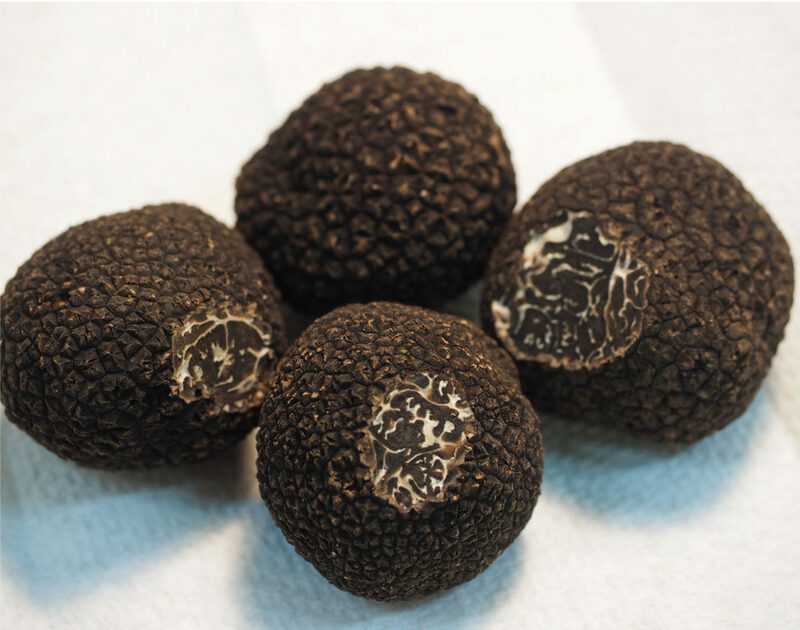 Contact the Truffle Kitchen to learn more about this delicacy. Add a touch of luxury to your dishes with A-Grade Truffles from the top supplier of truffles is South Africa. 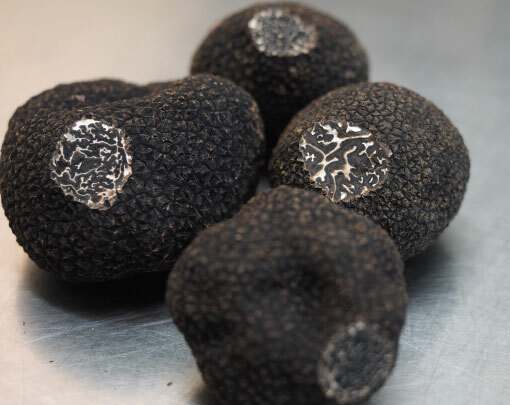 The Truffle Kitchen truffles are imported from Europe-Italy, France and Spain where they are hunted using trained expert truffle dogs and are then immediately packed for fresh delivery.